OSWEGO, N.Y. – It has been quite some time since a woman has been behind the wheel of a non-winged supermodified at Oswego Speedway. This season that will change as Alison Sload plans a full season in the Novelis Supermodified ranks for 2019. Sload, formerly Alison Cumens, is an accomplished campaigner on the ISMA trail. 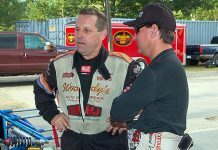 Despite being winless in a supermodified, Sload brings a vast list of accomplishments and nearly 20 years of racing experience to Oswego Speedway as she teams up with John Nicotra and Otto Sitterly for a full-scale Oswego assault. 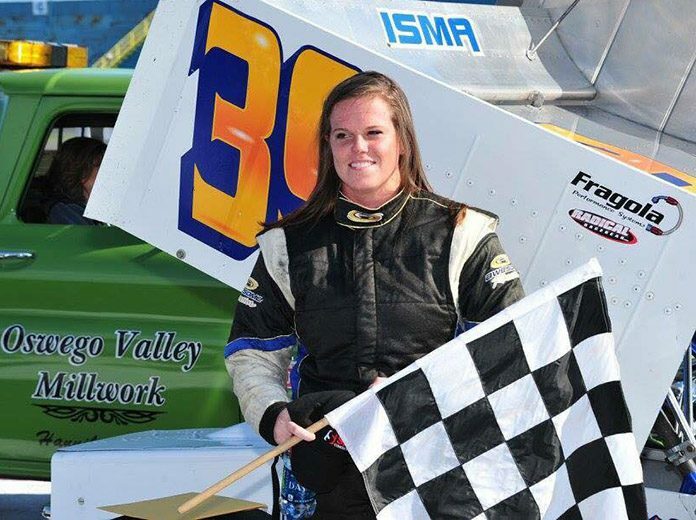 A quarter midget, three quarter midget, and now supermodified veteran, Sload’s affection for the Oswego Speedway began in 2011 when she picked up an ATQMRA victory on Classic Weekend. In addition to her successes in winged supers and TQ Midgets, Sload does have a small amount of non-winged experience in years prior. 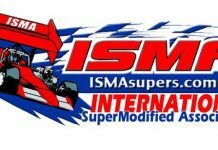 She piloted a car for Graham Racing in 2012 and only entered a couple of races before the Cumens Family then decided it was time to purchase a Vic Miller designed ISMA supermodified. During this time, Sload watched the race season from the sidelines, while also observing her family school bus business continue expansion into New York State, something that makes heading back toOswego this coming season a little bit more logical. Cumens, who has more than two decades under his belt wrenching on cars both for Alison and her brother Ian, says he “just wants to put Alison in a safe and competitive car” and “knows that John and Otto will make that happen for her. While women like Sload in a TQ and Star Matteson in the Small Block Supers have been victorious at the fast five-eighths-mile, no woman has ever won a supermodified event. No woman has ever won supermodified rookie of the year either, which will be another item on Alison’s radar during the 2019 season. So, is there a chance we may see our very first female Supermodified winner in the near future?